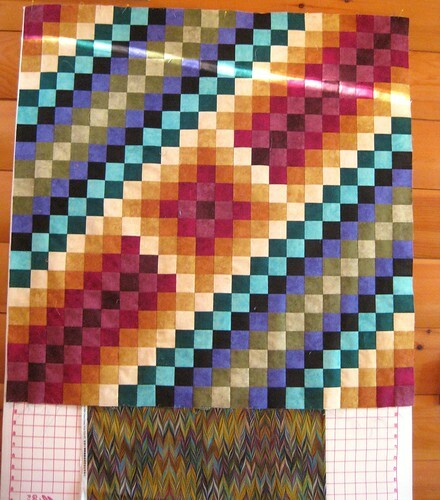 I started a mosaic quilt using all Maywood Studios Shadowplay fabrics. This is just a quarter of the quilt. The smaller “Trip Around the World” in the center will be repeated in each quadrant.